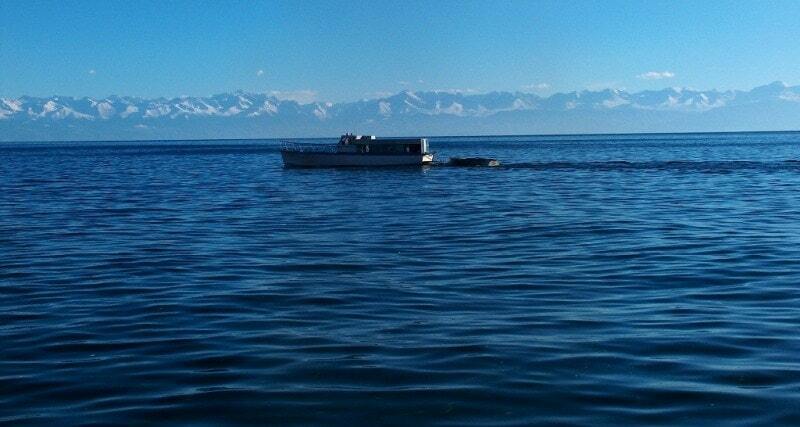 Home » Issyk-Kul province. 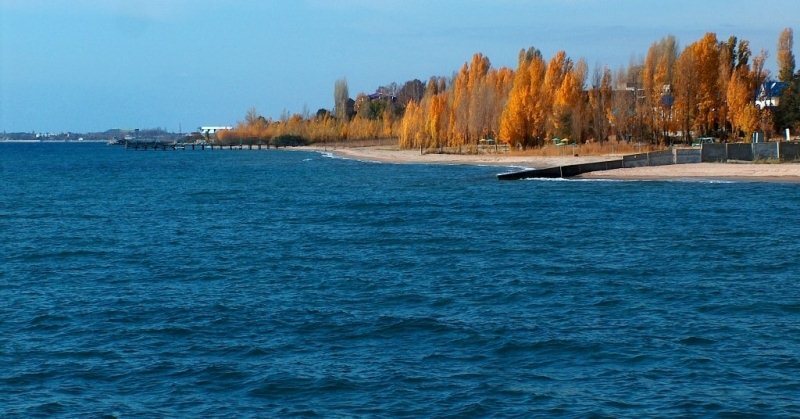 Issyk-Kul lake, tours, excursions and rest on lake Issyk-Ku. 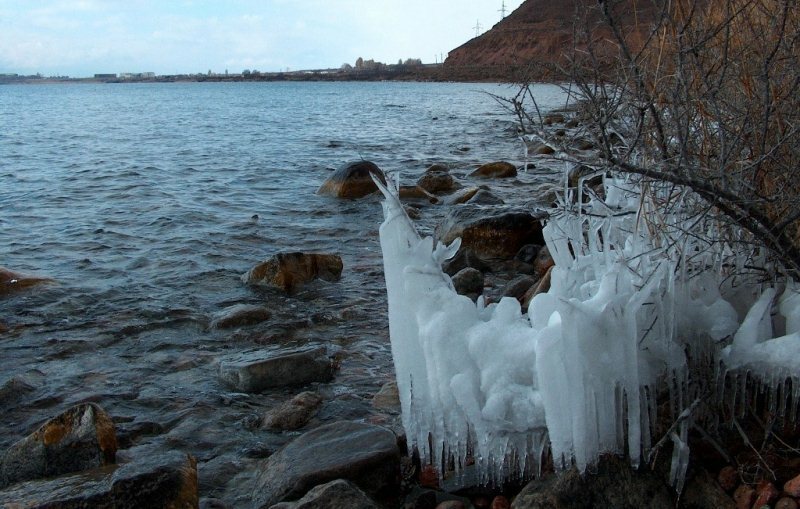 This lake is situated in northern Tien-Shan in Issyk-Kul oblast. One of the biggest mountainous lake in the world. Its length is 177km., its width is 60km., and its area is 6332 Kilometers square. 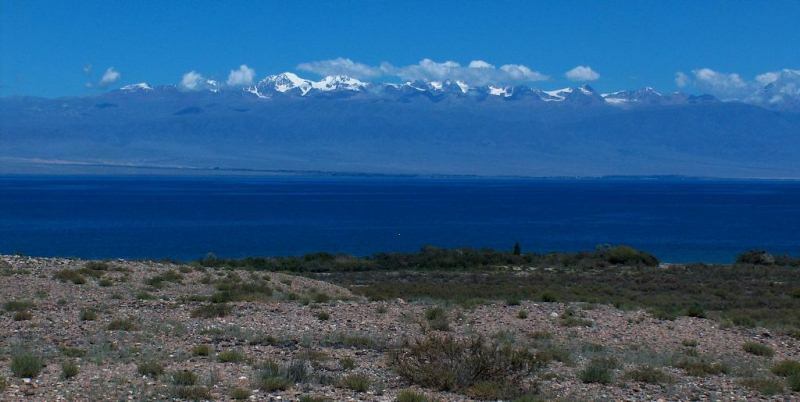 It is located at an altitude of 1609 meters above sea level. The climate is warm, dry, temperate. The water temperature in January - February is 4 - 5’C, in July 18 - 20’C. It is the leader among the highest mountainous lakes in terms its depth and the volume of water it holds (1738 Kilometers square). It never freezes and its water is salty. Its southern and northern shores are flanked by two mountain ranges (Kungei Ala-Too, Terskei Ala-Too) with peaks extending to altitudes of 4000 - 5000m. 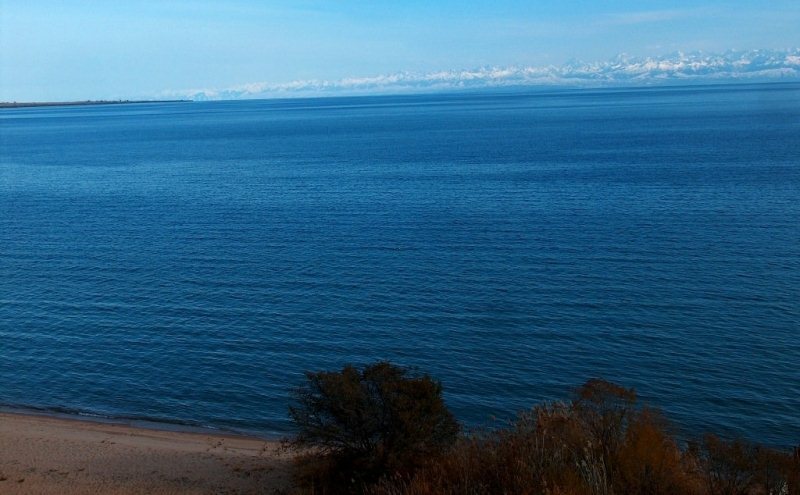 The lake is unique of solar radiation, sea and mountains. The tourists have a good opportunity to combine the water recreation on the lake’s sandy beaches with trips to high mountains where the white water rivers begin in combination with wild life and enjoy beautiful mountainsides. 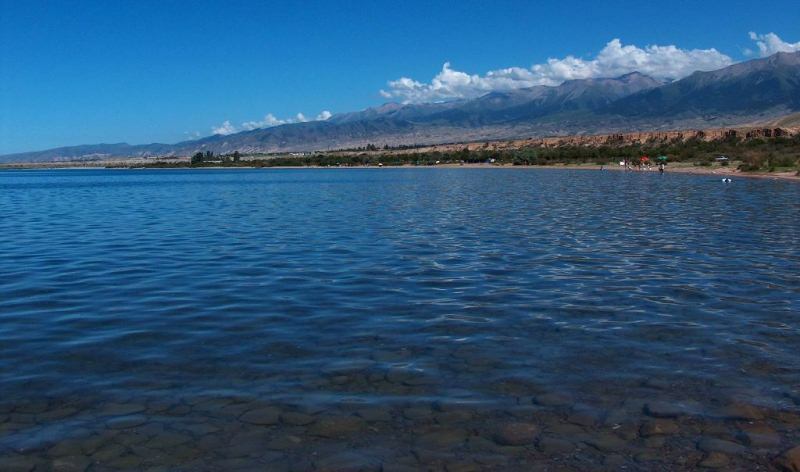 About 118 mountain rivers and streams flow into the Issyk_kul, but the lake has no flow. That's why its water is salty. 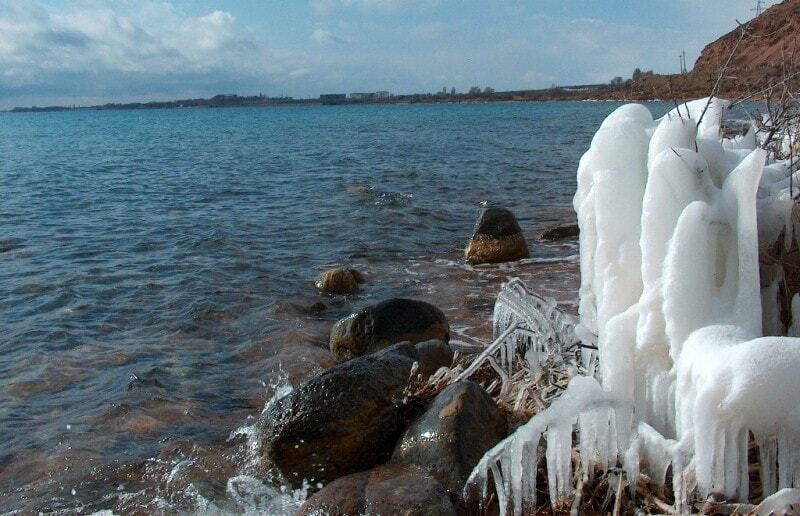 The huge area and the saltiness of the water prevent the lake from freezing in winter. 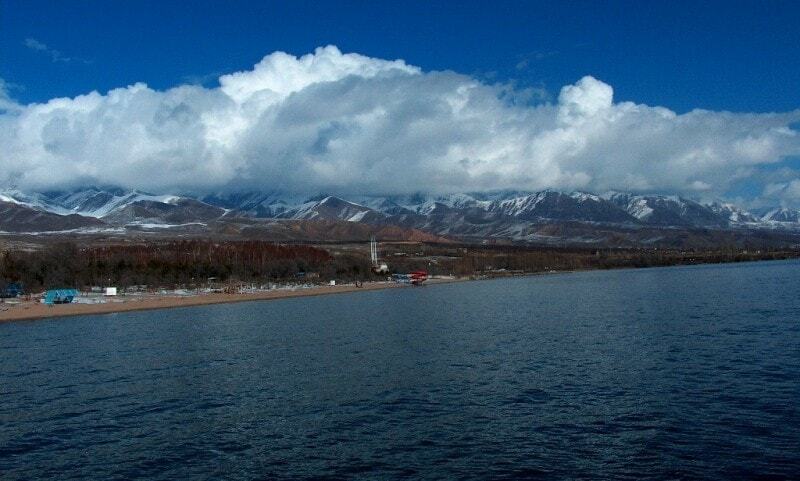 This is the explanation of the name – Issyk-Kul means «hot lake» in Kyrgyz. 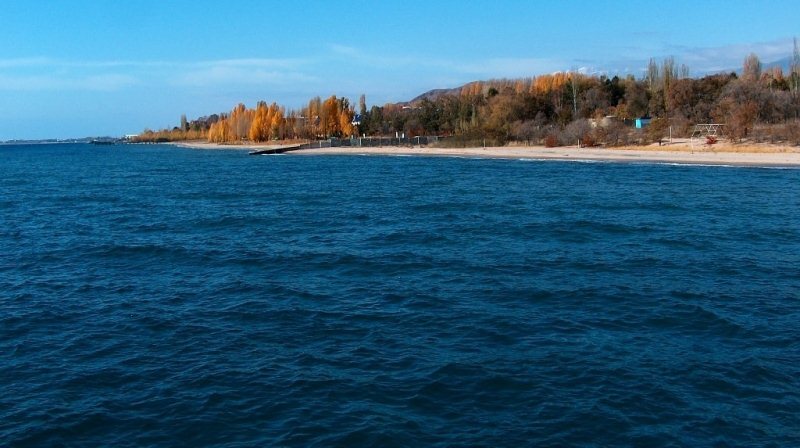 The lake appeared on the maps in XIV c. In III c. BC powerful tribes of Usuni lived on the coast of the Issyk-Kul. According to the ancient scripts they were fair-hoard, blue-eyed people. Archeologist discovered the ruins of the ancient buildings on the bottom of the lake. During the excavations clay vessels, golden adornments were found. 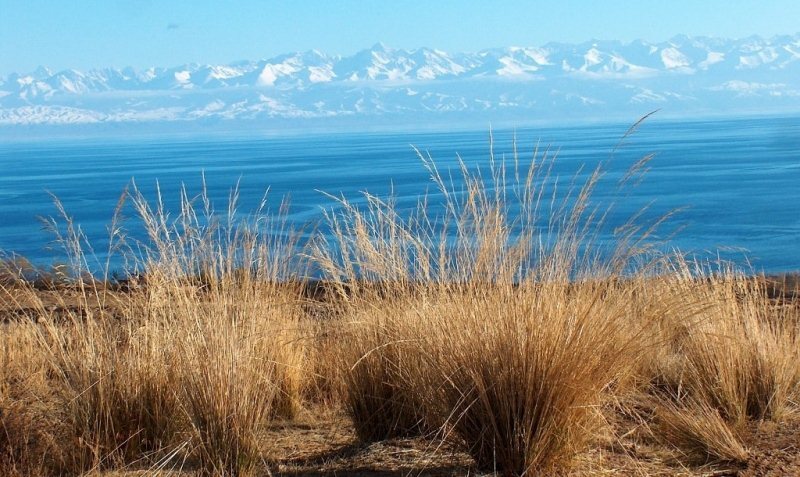 From the majestic world of Tien-Shan peaks, virtually unexplored, one of the best developed mountain routes in Kyrgyzstan leads through the Karakol valley to the pristine Issyk-Kul lake. 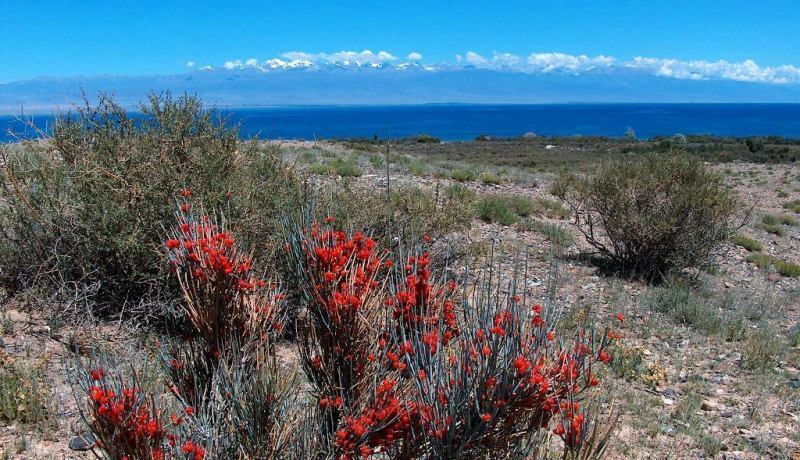 With its hot water springs for health and recreation, Issyk-Kul is a huge sweet water lake second in altitude only to the Titicaca Lake in South America. 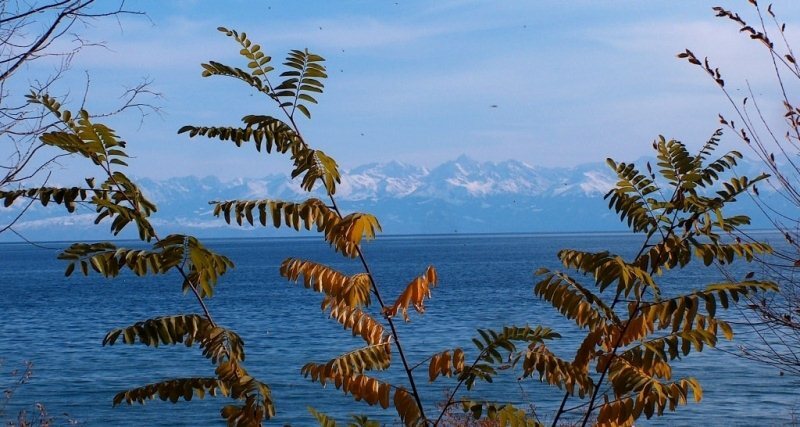 Kyrgyzstan is sometimes known as the Switzerland of Central Asia – Petr (Tien-Shansky) Semyenov, the renowned nineteenth century Russian explorer, may have been the first to make the comparison – he wrote about his first sight of the lake: “The dark, blue surface of Issyk-Kul is as blue as the surface of Geneva Lake, but the large size of Issyk-Kul makes it grandiose, which can not be said of Geneva Lake. 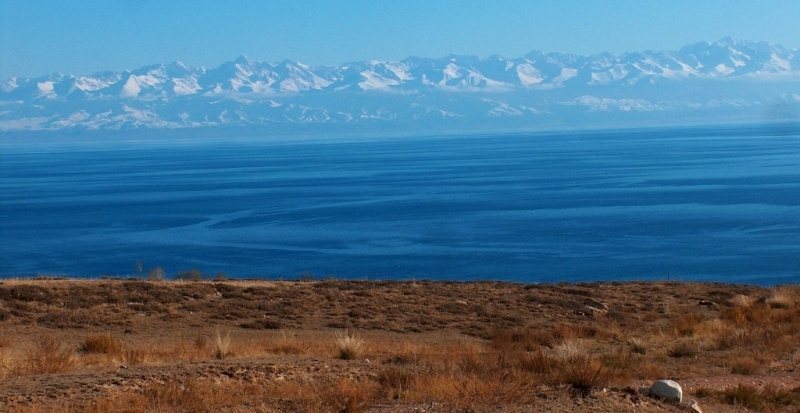 The Issyk-Kul water beautifully reflects snow-covered Tien Shan peaks against the background of the dark blue, bright, cloudless Central Asian sky.” The area was basically unknown to the Western world until Russian “explorers” like Semyenov ventured into the mountains nearby. There was greater contact with the East, however, and the Chinese traveller Jan Chan Tzan reached the lake in about 128 BC as part of a 6-year journey of exploration (1138 – 1126 B.C). 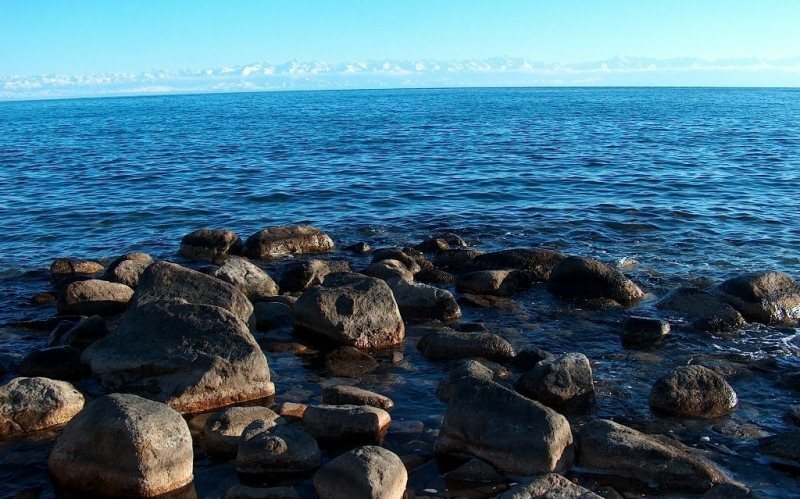 The first written account of a visit to the lake comes from another Chinese traveller, Suan Zsan, when describing his 16-year journey of exploration. 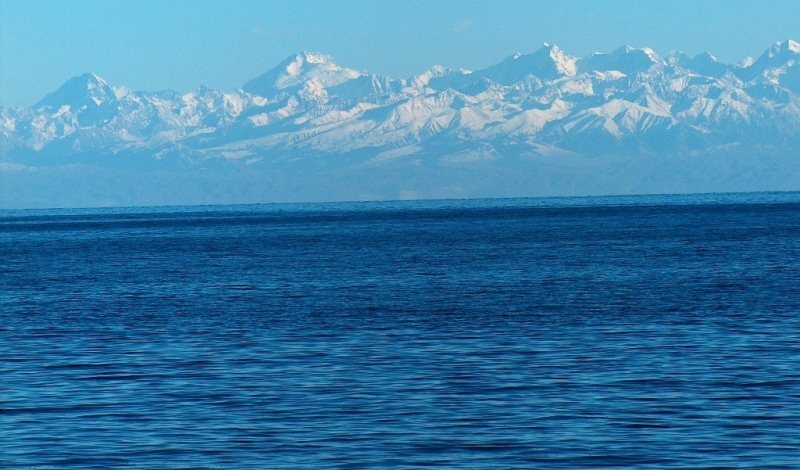 The first written example of the use of the name, Isi-kul, dates from an anonymous work – “The boundaries of the world from East to West” – written in Tajik in 982 AD, and which accurately states the size of the lake. 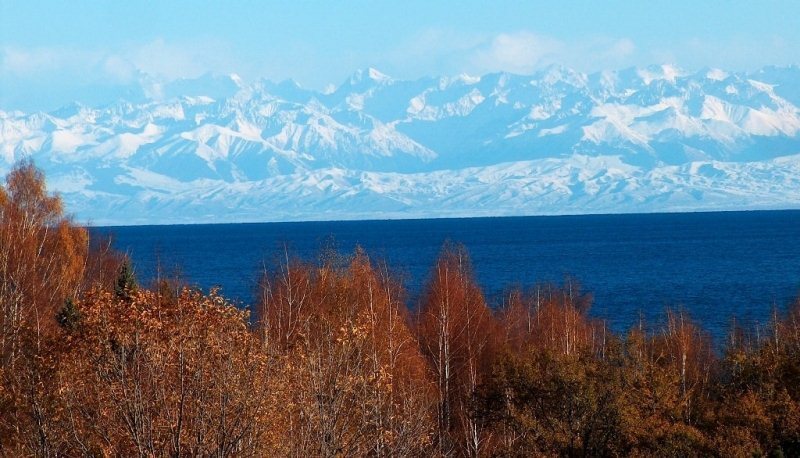 Known locally as the “Pearl of the Tien Shan”, it is ringed by mountains, (the Kungey Ala Too – the Sunny Mountains – to the North and Terskey Ala Too – the Shady Mountains – to the South), which offer both a spectacular backdrop and protection from the extremely hot, (or cold), winds that sweep across the steppes to the North. 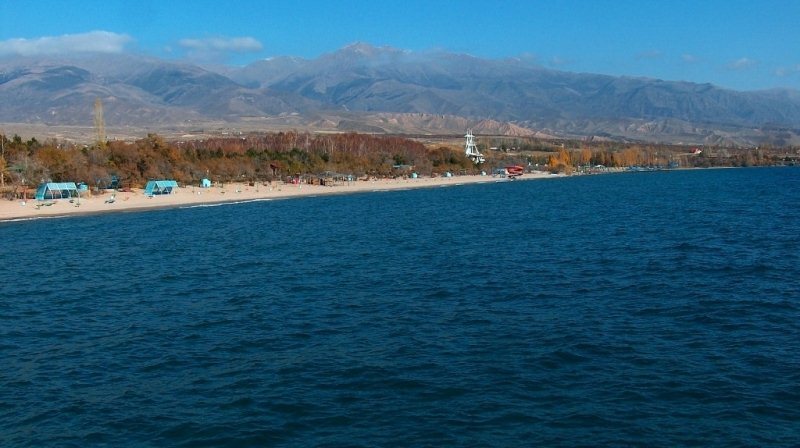 The name, Issyk Kul, is Kyrgyz and means “Warm Lake” – but that is not necessary a reference to the temperature of the water, even though there are a number of hot springs in the area. 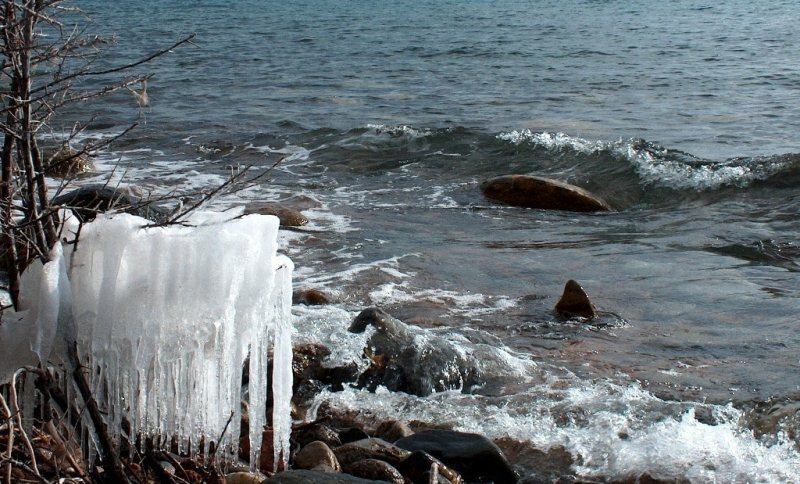 It refers instead to the fact that, unlike most mountain lakes, it never freezes over. 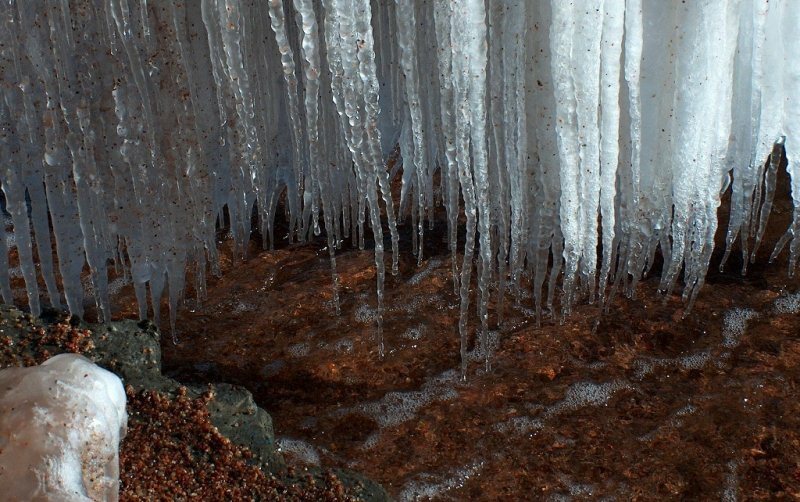 This is partly due to its size and partly to the fact that, as the lake lies at the bottom of a drainage hollow, it has no outflow and so the only way in which water is lost is through evaporation – resulting in a slightly salty composition to the water, lowering the freezing point. 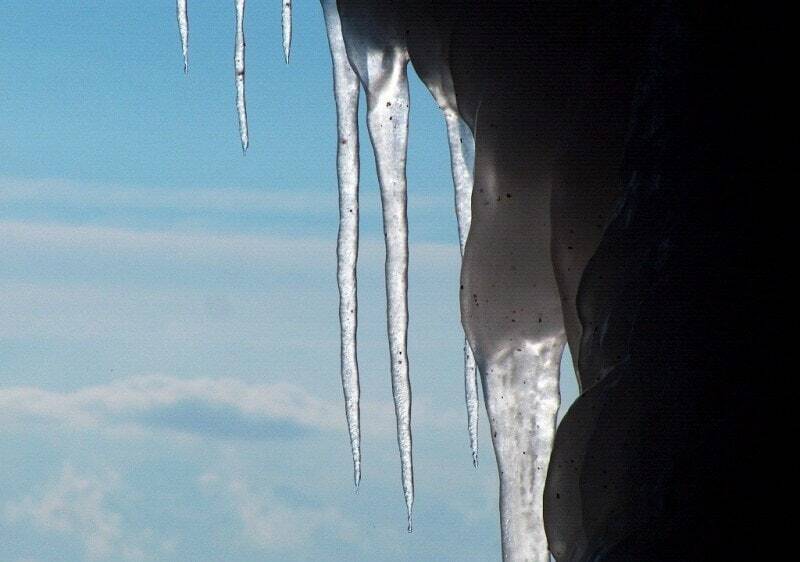 The water level has varied over the centuries: sometimes rising; sometimes falling. 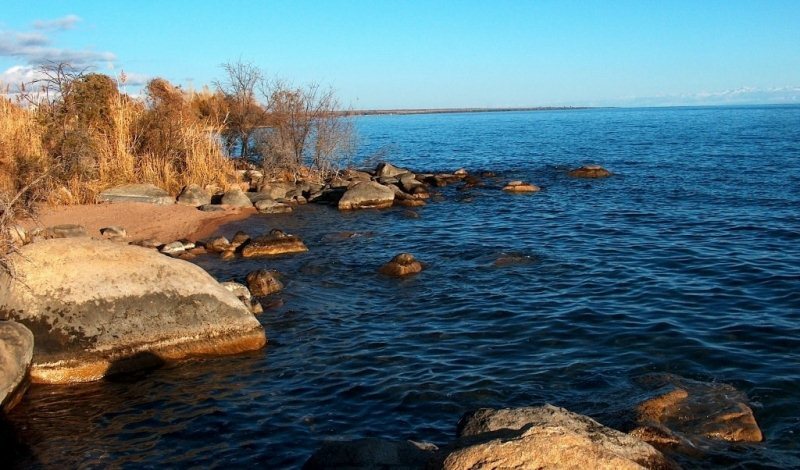 One of the results of this is that archaeologists have found the remains of a number of settlements under the waters of the lake. The lake lies on the flight path for a wide variety of migratory birds – the population can vary between 50,000 and 100,000 – and although counting by ornithologists has been somewhat haphazardly over the years, it is clearly a major wetland site. From Bishkek the road to the lake passes through Boom Gorge (“Shoestring” Gorge). 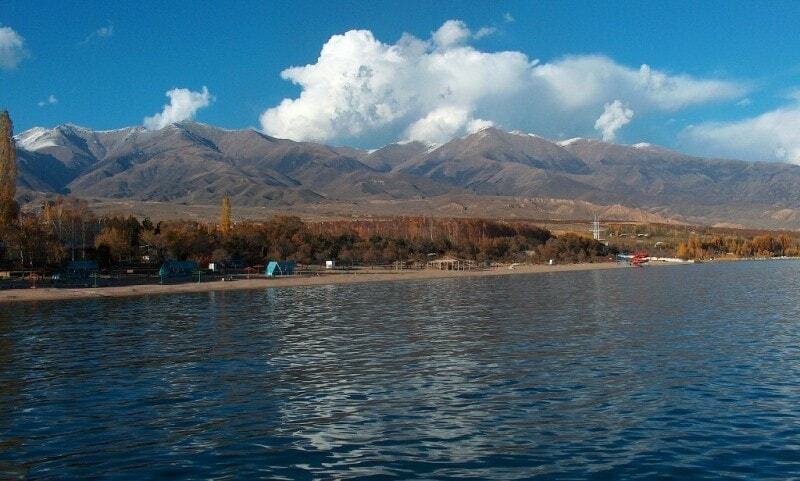 At the extreme Western end of the lake is the town of Balykchi (“Fisherman” in Kyrgyz) which is the end of the line for the railway from Bishkek. Just outside the town at the side of the main Bishkek road there is a statue of Semyenov leading his packhorse. The mild climate and sunny days, the abundance of beaches, (especially on the sunny northern shore), with plenty of space for development meant that it was particularly attractive as tourist destination. In the Soviet period a large number of Sanatoria, Children’s Camps and resorts were built and a large number of visitors from all over the Soviet Union spent their summer holidays here. Cholpon Ata, about half way along the northern shore, is the centre of the resort zone. The town has a small museum and just south of the airport is field which an impressive collection of petroglyphs (stone inscriptions). Further to east, cutting deep into the mountains, are the valleys Semyenovka and Grigorievka. From these there are several trekking routes which cross the mountains to Almaty which were very popular in the days of the Soviet Union but the existence of the newly established international border mean that special arrangements have to be made for those intrepid trekkers who want to take them. A little further to the east is the small and sleepy hamlet of Svelte Mays – reputed to be the burial place of the evangelist Saint Matthew. The Orthodox monastery which stood in the village has long since disappeared but some of the buildings are still standing. At the extreme Eastern end is the town of Tyup. 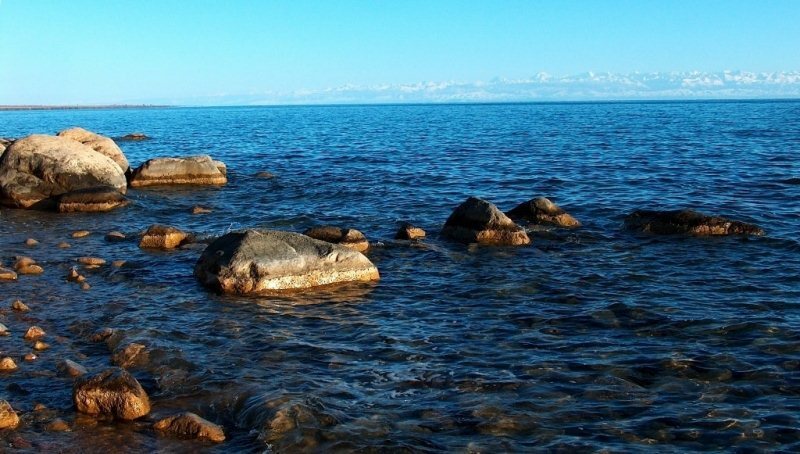 When Semyenov first visited the region, he found near here at the San Tash pass a large barrow of smooth stones. Legend has it that it was constructed by the army of Timur. They found their way into the basin and he gave an order that every soldier was to pick up a stone from the shore of the lake and take it to the pass when the campaign was over they would return it to the shore. Very few of the soldiers survived and so the army effectively constructed its own memorial. 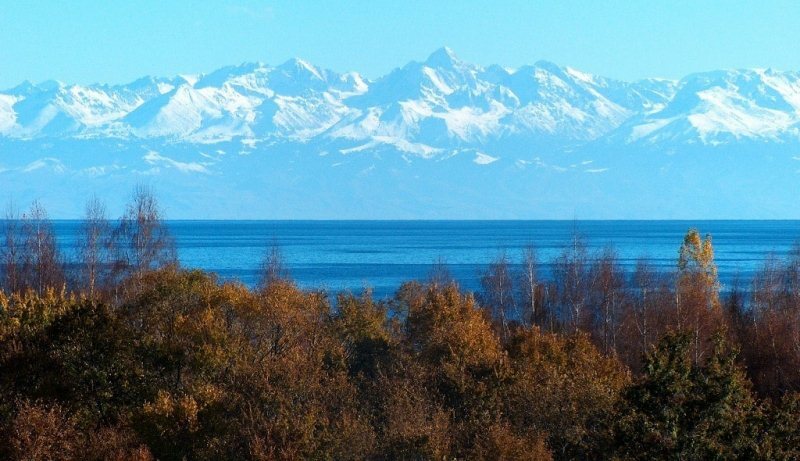 The local administration is based in the town of Karakol at the Eastern end of the lake. The town is visited by many tourists who captivated by its old world charm, the architecture (much of it typical nineteenth century Russian Colonial), its sights (the Orthodox Cathedral, Dungan Mosque and museums), and the traditional Animal Market on Sunday mornings. It also serves as a good base for excursions into the nearby Terksey Ala Too Mountains. The Southern shore is much less developed than the northern one, although there is accommodation and things to see and do. The mountains approach closer to the shoreline than the northern, there are fewer sandy beaches and the sun bears down more intensely on the northern shore making it more attractive for holidaymakers. Not far from Karakol are the picturesque valleys of Alyn Harahan and Jety-Oguz. There is also the Bassoon valley, home to the annual At Chabysh Festival, in November, and the Tamga Tash – a rock inscribed with an ancient Tibetan Buddhist mantra. Further West is Manzhily Ata, an ancient Shaman sacred site which plays host to another Festival every August, and the Mertvoye lake.